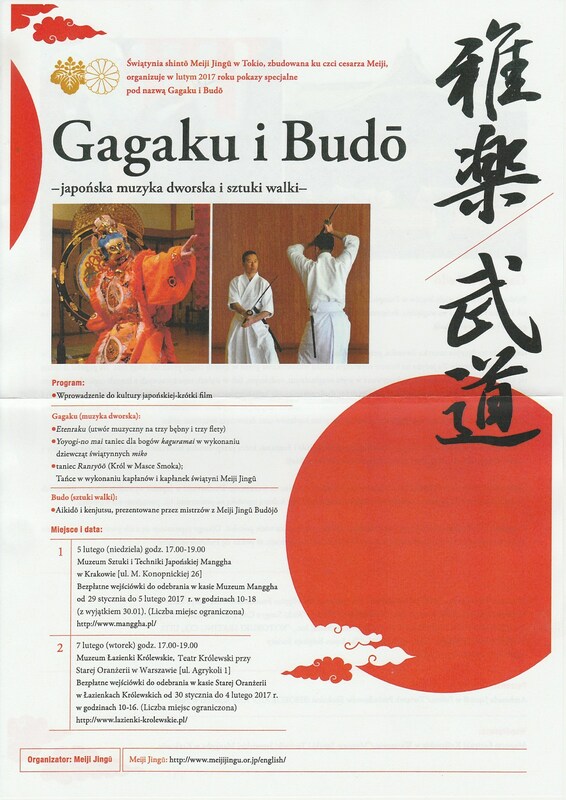 In January and Febraury 2017, the group of Shinshoku and Miko from Meiji Jingu performed GAGAKU – Traditional Court Music and Dances. 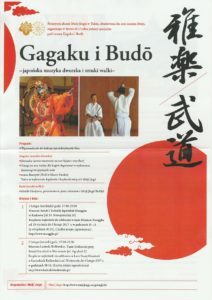 The performance was followed by Budo demonstrations by Shiseikan Kancho Araya Takashi, assisted by Okuda Yoshihiro and ISBA instructors (Benoit Mabire, Fabian Jacquet, Alberto do Meglio, Bruno Senoner, Robert Cowham Jacek Czerniachowicz, Piotr Ożdżiński, Tomasz Sowiński and Grzegorz Kołak). The group visited Belgium (Ghent 28/01, Brussels 29/01), Italy (Milano 31/01, Roma 02/02) and Poland (Kraków 05/02, Warszawa 07/02).